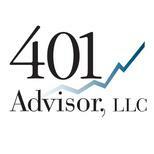 401 Advisor, LLC specializes in building client portfolios using dividend paying stocks due to their long term history of providing superior returns over non dividend payers. I recently contributed to an article posted by U S News on their web site. The article highlights warning signs that a stock may be cutting their dividend in the future. How’d it do in a recession? Bill DeShurko, a Covestor portfolio manager and founder of 401 Advisor, a registered investment advisor, has an altogether different way to tell if a dividend is ready to fade away. “Look at how a stock behaved during bear markets and recessions,” he says, and check how its earnings and balance sheet were affected. “A company’s financials through the tech wreck, financial crisis and recent oil price plunge would be a good indication of how much cushion a company might need to maintain a dividend,” he says.